Liverpool's dream of reaching a second consecutive EFL Cup final was dashed on Wednesday night at Anfield, as Southampton beat them 1-0, to win 2-0 on aggregate. 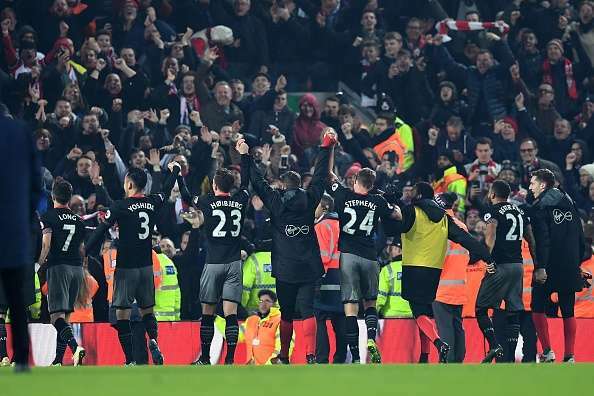 Shane Long's goal in second-half injury time sealed the deal for Claude Puel's side, on a night when they defended brilliantly as a unit. 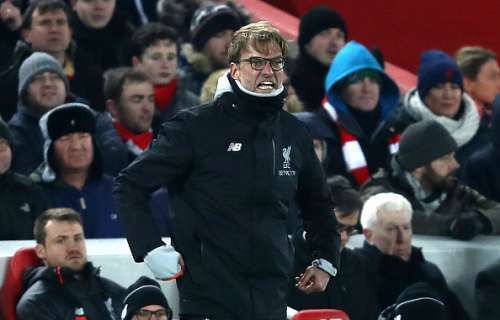 This is the first time Jurgen Klopp has ever lost a semifinal tie and the Reds boss has a lot of pondering to do. Liverpool have had a wretched January, with their only win of the month coming against lowly Plymouth Argyle. If Liverpool were still in the tie till Long scored, it was thanks to Karius. After his first leg heroics, he made a stunning save to deny Dusan Tadic in the first half. He was commanding in catching high balls too. He did his individual reputation no harm, but he was exposed on a few occasions by the pace and trickery of Redmond. Given his stature, he should have received more help from the central midfielders, in a defensive capacity. In his first start in over a month, Matip looked rusty. He was alright in possession of the ball as he passed it well, but defensively, he was given a run-around by Redmond, Tadic and Jay Rodriguez. Lovren had a poor game and allowed both Rodriguez and Long to bully him, and didn't read obvious situations. One of those days when he couldn't seem to do anything right. In the initial stages, he was getting exposed, but he recovered from that. He was strong defensively and was always an outlet when Liverpool went forward. A second successive poor game for the Liverpool captain. He offered zero creativity as he only moved the ball sideways. The one decent cross he sent into the box was put over the bar by Sturridge. Can's poor recent form continued. He took far too much time on the ball before making a decision. But on the night, he came closest to giving Liverpool the lead. 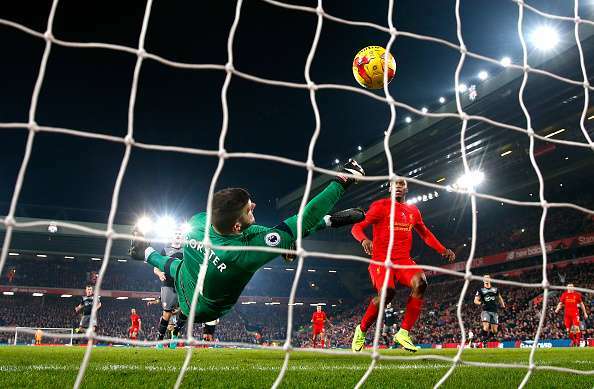 His fierce shot stung Fraser Forster's palms and almost went into the goal, but the England man recovered just in time to prevent Liverpool from levelling the tie. Lallana worked hard, he pressed all through the night, but did not find any quality on the ball. Liverpool need the Lallana that played until December to show up again, and very soon. With Southampton being as organised as they were, it was difficult for Coutinho to pick out the passes. He had one of his trademark curling shots that had Forster rooted to his spot, but the ball went wide of the mark. Again, there was very little influence from one of Liverpool's chief creative forces. Firmino played on the right flank, which did not make too much sense, given his recent good form when playing through the middle. He missed Liverpool's two biggest chances on the night. When Sturridge isn't finishing chances off, he becomes a liability to his team. That is what he was for Liverpool on the night. He came on to replace Can in the 75th minute but made little to no impact. He had claims for a penalty rightfully denied by Martin Atkinson late in the game. He came on in the 87th minute and barely touched the ball. He could have prevented the Southampton goal by fouling Josh Sims and taking a yellow card at that stage. He had a moment where his heart was in his mouth as he spilt Can's shot but he recovered well. Other than that, he was not stretched enough by the Liverpool attackers. He did nothing out of the ordinary and was barely present as an attacking entity. But his primary job was to defend and he did well to repel anything that the Reds threw at him. Southampton's best player on the night, Stephens was everywhere in defence and he ensured that the Saints did not miss Virgil van Dijk. He made a staggering 22 clearances/blocks on the night. Man of the Match. If Stephens had 22, Yoshida was only slightly behind with 19 clearances/blocks. The two centre-backs complemented each other brilliantly. Yoshida, in particular, was commanding in the air. It was a very composed performance from Bertrand. He was very solid defensively, and he made some beautiful passes to Redmond to set Southampton on their way in attack. Romeu did his job as a defensive midfielder to perfection. He was snapping into tackles, reading the play brilliantly and was always at the right place at the right time. The Englishman worked his socks off, to ensure that Liverpool's midfielders did not get a grip on the game. He passed the ball well, but an injury forced him off in the second half. Like every other Southampton player, his work-rate was immense. He missed a chance to put his team in the lead in the first half, as he shot over the bar, with the goal at his mercy. Tadic was not at his best, but he was still a handful for Matip and co. to handle. He picked out some fabulous passes too. 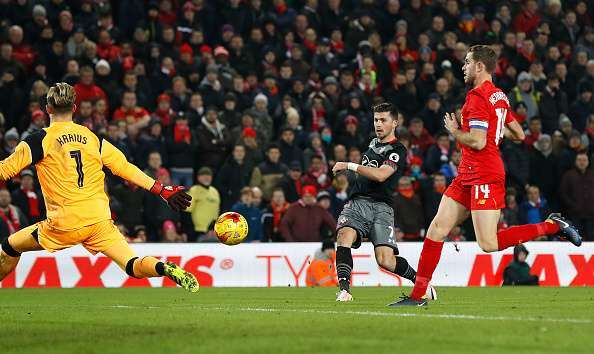 He had the Saints' best chance in the first half, but his shot off Redmond's cut-back was brilliantly smothered by Karius. After scoring the winner in the first leg, Redmond once again had a very good game. He gave Alexander-Arnold plenty of problems in the first half. After the interval, his was a more defensive role and he doubled up with Bertrand on the Saints' left flank and cut out any spaces Liverpool had. He bullied Lovren in the first half, as he held up the ball and brought others into play. He was replaced by Long at half-time. When that chance fell to Long, you knew he was going to tuck it away, and he did without any fuss. His running was important to Southampton, as he ensured that the defenders could regroup by holding the ball up in Liverpool's half. After replacing Ward-Prowse, he seemed a little frantic, as he didn't show enough composure. But he was helped out by Romeu and Davis. He carried the ball half the length of the field, before putting it on a plate for Long to finish the tie off. A great night for another one from the Southampton academy.